Sharing her culinary journey through the lens of identity as a speaker at TEDxOxford as part of their ‘Building Bridges’ conference. Zoe Adjonyoh is on a mission to bring African food to the masses. Her love from food arose when she used to spend time exploring recipes in her grandmother’s kitchen and at the famous Kaneshi street market. Zoe has taken her fresh interpretation of classic Ghanaian flavours to pop-up venues across London, Berlin, Accra, and New York, and has become a leader in the African food revolution. Zoe’s Ghana Kitchen is the epitome of social, relaxed and affordable dining – where guests gather to enjoy Ghanaian favourites, notable for their heartiness and spice, alongside Zoe’s contemporary West African creations. In the spirit of ideas worth spreading, TED has created a program called TEDx. TEDx is a program of local, self-organized events that bring people together to share a TED-like experience. Our event is called TEDxOxford, where x = independently organized TED event. 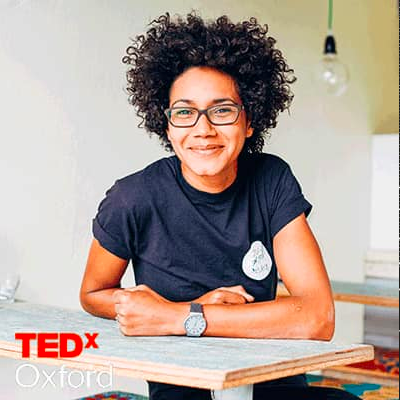 At our TEDxOxford event, TEDTalks video and live speakers will combine to spark deep discussion and connection in a small group. The TED Conference provides general guidance for the TEDx program, but individual TEDx events, including ours, are self-organized. Join us today 10th February at the 2019 Conference to understand what Zoe wants to attain in the future!